What's next for Turkish roller-coaster economy? What next for Turkey's roller-coaster economy? Turkey's status as an emerging market darling is at risk as growth slows and regional unrest spreads. Just a few years ago, the country was riding high on the back of low labor costs, a large population, access to EU markets and strong foreign investment. Growth accelerated to 9% in 2010-2011 after averaging about 5.5% over the previous decade or so. Incomes have more than trebled since Recep Tayyip Erdogan became prime minister in 2003. He was elected president in August. But the past 18 months have been bumpy for Turkey, and its backers. There have been vociferous protests against Erdogan, a deadly mining disaster, and the economy has slowed sharply. Just last week, the government cut its forecast for growth to just 3.3% this year, and 4% in 2015. The Turkish lira has fallen 12% against the dollar over the past 12 months. Recent volatility in financial markets has exposed Turkey's vulnerabilities. 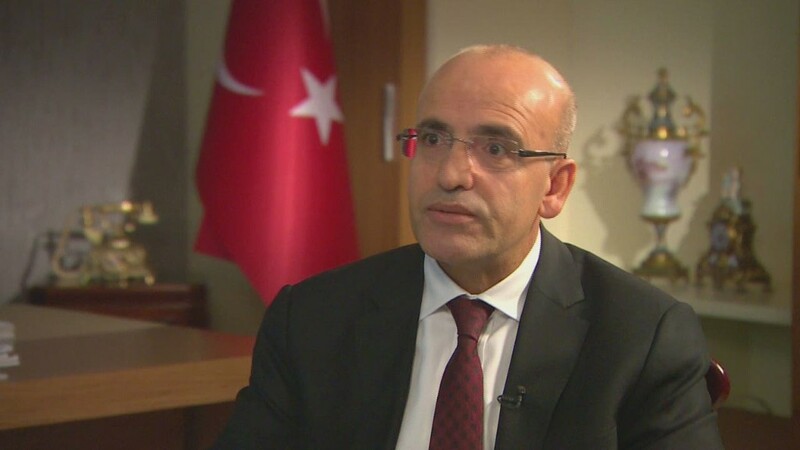 Finance Minister Mehmet Simsek admits there's been a stream of bad news for emerging markets but is cautiously optimistic that Turkey won't be starved of the capital it needs. "I realize there are huge challenges out there, but I don't think it will be as bad as in the past partly because fundamentals are better in emerging markets but partly because we are not going to see synchronized global monetary tightening," he told CNN's emerging markets editor John Defterios. Beyond market turbulence, the NATO member is also nervously watching the advance of ISIS fighters near its border with Syria and across Iraq. Turkey has already spent $4.5 billion taking care of 1.6 million refugees, and the numbers are rising. And it's suffered a loss of trade too. "Hopefully now things are a bit more stable, a bit more predictable, and it looks like after the first shock, exports are picking up in terms of our trade with Iraq," Simsek said.